Take a horse-drawn carriage ride at Gardner Village. $5 a person. Fridays and Saturdays from 10 am to 8 pm, except December 7th and 8th. Starts November 30th and ends December 22nd. Call for more information. 801.706.8189. Sandra, thank you for your concern!! They have pony rides, but the ponies are NOT the ones that pull the carriage. They have full grown horses that are size appropriate to pull the carriage. Thank you for your concern. The horses were purchased along with the wagon (not sleigh) from the Amish in Ohio. 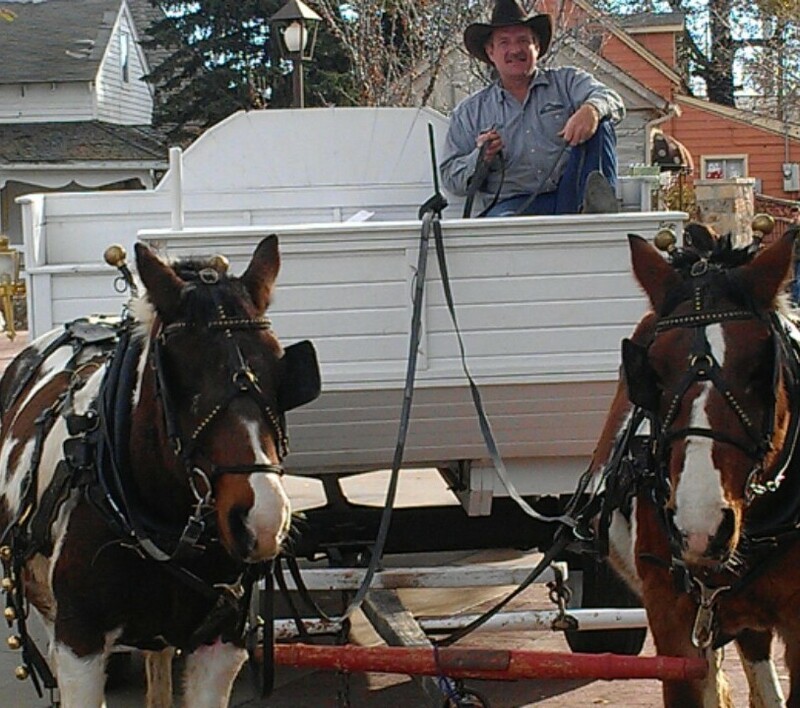 While the horses may look small, they are 2000 pounds each and are special horses that are able to pull this wagon comfortably with passengers in it. The horses do have calluses that were red. The owner of the carriage rides has the animals checked by USDA veterinarians monthly. His number one priority is safety with his customers and animals.